Every beginning trader prefers to invest in top 5 – 10 cryptocurrencies. The more globally widespread a currency is, the higher its liquidity and the lower its volatility. Nevertheless, there are quite a few altcoins whose target audience is deliberately limited. These are cryptocurrencies with regional branding created to solve specific local tasks. Even now in the 21st century, some countries need complementary currencies due to a banal lack of cash and the necessity to stimulate depressive local economies. MazaCoin proposed by the Oglala Sioux Tribe makes a good example. The Native American enthusiasts were planning to relaunch their internal economy this way. Natives do not pay income taxes, so Sioux people were hoping this privilege would attract real businesses to their land. Unfortunately, most tribe members failed to get the hang of the new technology, and the coin has become an object of speculative interest for the most part. Some local cryptocurrencies aren’t so targeted and cover entire countries, including quite prosperous ones where people are dissatisfied with the traditional banking system. For instance, AuroraCoin introduced in Iceland has become successful due to a combo of the citizens’ high political activity and tech-savviness. The idea was to provide every resident with the privilege of owning a certain part of the virtual public property. This model was supposed to give momentum to local businesses by eliminating dollar dependency and allowing the local community to control their resources more efficiently. Releases of that sort are usually accompanied by what’s called an airdrop, a pre-mining practice with the subsequent free distribution of coins among residents according to digital ledgers. The above-mentioned AuroraCoin pioneered in adopting this approach, having conducted a pre-mine of 50% of the entire AUR pool and giving equal shares to all citizens of Iceland. The Greek cryptocurrency called GreekCoin, the Polish PLNCoin, the Spanish SpainCoin and quite a few other altcoins followed suit. Some of these emerged in the aftermath of economic crises in some of these countries and sought to prop more stable alternative economies. Pesobit is one of the latest cryptocurrencies featuring regional branding. This Filipino project has even gone through a successful crowd sale. Although the state’s economy showed a significant growth last year, the need for an altcoin grew as well due to a fusion of the large freelance sector and lack of confidence in the stability of the national currency in light of President Duterte’s policy. Another coin with national flavor appeared in Venezuela in February 2018. The state’s government has developed a cryptocurrency called the Petro. Its value is pegged to Venezuelan oil and mineral reserves. President Nicolas Maduro has reportedly instructed some state-owned companies to convert part of their assets into the cryptocurrency. The government is reportedly planning to go even further and launch the Petro Gold, a spinoff of the Petro that will be backed by gold. Inspired by these initiatives, the authorities of Iran are planning to develop their own “cloud-based digital currency” as well. Its name is unknown at this point, but the motivation is quite clear. Both Iran and Venezuela are most likely elaborating a workaround to evade potential U.S. sanctions this way. While facing no financial penalties or pressure, the Turkish government has recently announced its plans to develop Turkcoin, which they dub the “national Bitcoin”. This move allegedly pursues the goal of keeping up with the world’s new digital paradigm. It’s noteworthy that the very nature of complementary currencies poses an obstacle to achieving their goals. The problem is, these currencies aren’t really local. They are easily accessible with VPN and thus can be traded from any part of the world, being therefore susceptible to speculative volatility. In theory, these coins can even serve as a payment means in ransomware scenarios. Some communities simply cannot afford to invest in such unstable assets. The obvious conclusion is that such coins probably shouldn’t be traded on exchanges. Their price should be determined by the economic condition of communities where they circulate rather than by trade speculations. Some local cryptocurrencies emphasize national identity and reflect a certain political statement rather than reach purely economic goals. An altcoin can serve as a surrogate of sovereign currency for territories that are actively struggling for independence by political means. For example, ScotCoin and Catalonian Coin were introduced in Scotland and Catalonia, respectively, in the wake of growing separatist sentiments. It’s fair to say that these types of coins do have economic implications alongside political ones. However, their mission mainly boils down to symbolic separation from the metropole rather than stimulation of local economies. Ukraine has got an emblematic coin of its own. It’s called Karbo, which is short for Karbovanets, a unit of fiat currency circulating in the country in the 20th century. Karbo was released with no pre-mine, airdrop or distinct plans for the future. It exemplifies cryptocurrency promoted within a society due to spontaneous interest and nostalgic motives. The wave of Euroscepticism following the recent economic crisis in Europe gave rise to a number of national altcoins, including the Netherlands’ GuldenCoin, Germany’s eMark, Ireland’s GaelCoin, and Spain’s PesetaCoin. These cryptocurrencies reflect the residents’ reaction to economic instability and nostalgia for sovereignty and national currencies. The influx of altcoins has been the talk of the town for several years. It seems local coins have the potential to occupy their own standalone niche in the global cryptocurrency ecosystem, but most people aren’t fully prepared for this new reality. Meanwhile, a decentralized currency that can be released and sustained by a small community without emission expenditures and legal issues opens up big opportunities for controlling and distributing their internal resources efficiently. 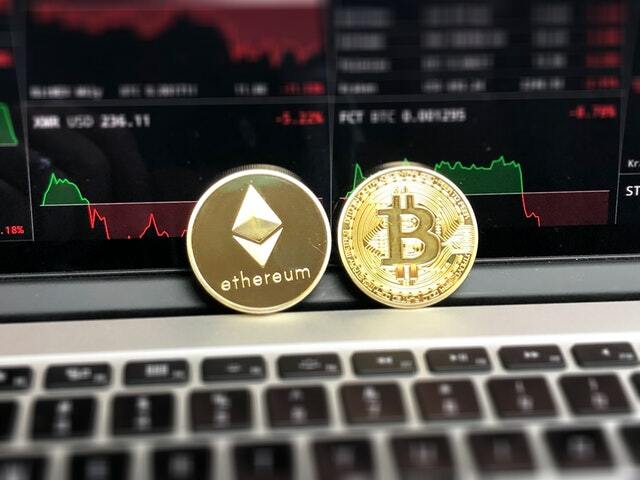 Local cryptocurrencies bear a resemblance to altcoins of various DAOs (decentralized autonomous organizations) as they are backed by real, though small, economies and have a maximum liquidity inside their economic structure. Perhaps that’s going to be the blockchain’s next step towards revolutionizing the global economy.